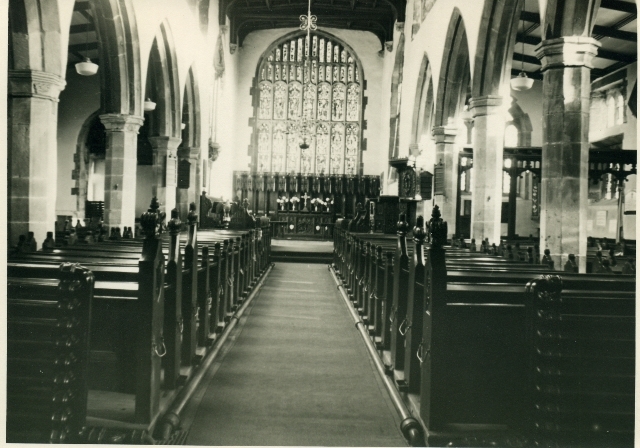 The chancel was extended ten feet and the perpendicular east window rebuilt. A square hole found in the south wall, was an aumbry for keeping Communion vessels. But already another had been made, so we have two. 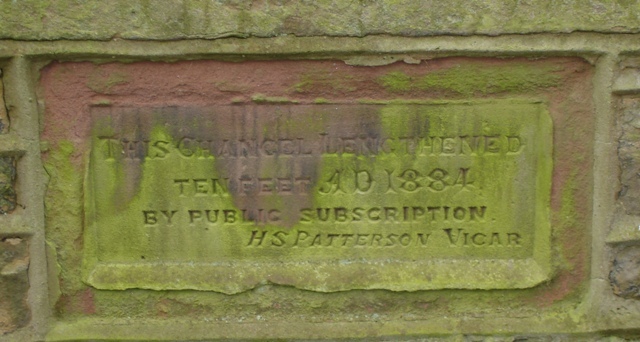 A stone tablet under the window on the outside wall records: "This Chancel lengthened ten feet A.D. 1884. H.S.Patterson, Vicar."